The truth is this. Yes, I’m a financial expert, and a meticulous one at that, but at heart, and I mean, really at heart, I’m a gamer and tech fan. Growing up I was very lucky to have an elder brother who loved computer games. My first memory was playing Pong, then playing on his Atari, and then his Amiga. Then, on my 10th birthday, I was given a Sega Master System 2. I never looked back from there. Today I’m a PS4 man, and dare I say, an occasional Fortnite player (with both my nephew, and brother). Please do not judge me. I built most of the Longhurst website. I also produced most of our video – ‘What does wealth mean to you?’. I taught myself how to code (in part), because many years ago, when I launched my first company, I couldn’t afford to employ a web-designer. So, I learned how to do it myself. 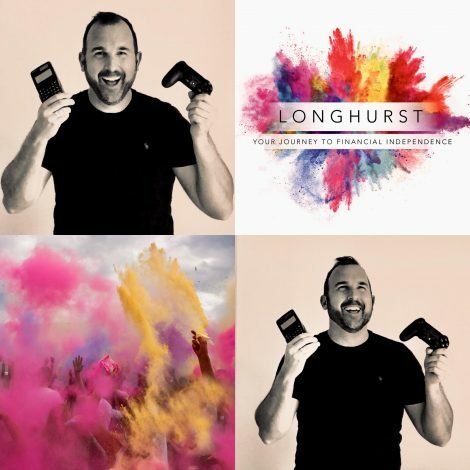 My love for tech also assists how Longhurst delivers its financial planning service to the clients and businesses we work alongside. We use lifetime cash-flow forecasting software (Voyant) with every piece of advice we give. We utilise video conferencing (Google Meet), meaning clients who can’t physically attend meetings can do so remotely. We use video functionality (Vidyard) to send short email messages, commentary, and visual notes. We even use e-signature software (Docusign), because we have an internal 2020 target to be completely paperless (in a financial services sector that loves printing paper). As and when new ‘financial advice’ tech comes to the market, I review and test it, then decide if we bring it in-house. Finally, and to conclude, in the coming weeks we are launching a new regional podcast, called Inside Silverstone™, where I’ll be interviewing Silverstone Park and STC business owners and members, on both their personal, and business, journey to date. More to follow on this, but if you’re interested in being one of our initial interviewees please drop me an email chris@longhurst.co.uk, or give me a call 07793 841654. We have big plans for the podcast, so the more help we get from the community, the better results it will have for all involved.